ROOFING Our company provides professional roofing services in Middletown and all over Delaware! Our roofing specialists offers the best solutions for roof repair and replacement! Are you on the fence about choosing a firm for your home improvement project in the state of Delaware? There is only one way to make the right choice. NVR and Son Contractors is a Wilmington roofing company with more than 30 years of experience in handling commercial and residential projects. We are available for professional exterior remodeling services and will do our utmost to make your home, office, or retail store look straight out of a realtor magazine. Our mission is to enhance the curb appeal of your property while keeping you from digging deep into your pockets! Led by Nino Roca, an OSHA-certified specialist and a man of all seasons, NVR and Son Contractors has already become the obvious choice for homeowners and businesspeople. We place a strong focus on what matters to you and provide the highest standards of workmanship every step of the way. That is why we are highly respected not only by our customers but other big-name roofing contractors in Wilmington, Delaware. When installed properly by a certified roofing company, roofs keep water from leaking into buildings and damaging the interior, equipment, or furnishings. 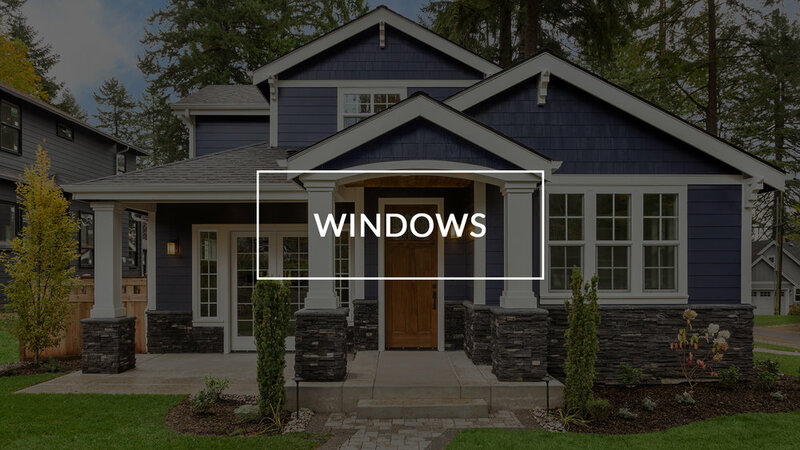 Windows are an integral part of the security, look and the all-important resale value of your home. 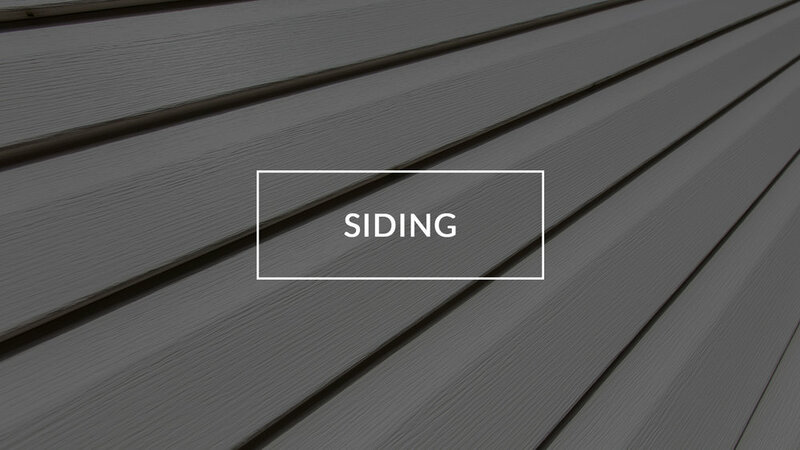 New siding not only gives you a home you can be proud of, but protects It from the elements and enhancements its curb appeal. Whether you are planning marked home improvements or just need to get all rotted joists replaced, NVR and Son Contractors can help. We offer professional installation, maintenance, and repair services for all sides of your property. As one of the leading roofing companies in Wilmington, DE, we specialize in everything from inspecting coverings and replacing damaged shingles to aligning and cutting all the materials. On top of that, we can install vapor barriers, insulate the area below the deck, and find vulnerable spots to prevent roof leaks. Everything is done with your needs in mind. Apart from roof repairs in Wilmington, DE, we can handle siding projects for residential and commercial buildings. Remember, it is siding that protects exterior walls of your property against pests, leakage, and hail damage. At NVR and Son Contractors, we are capable of dealing with top-quality panels that will improve energy efficiency and structural durability of your building. If you need a reliable contractor to get your windows replaced or repaired, feel free to count on our team. We will give you a few pointers on how to choose the best ones for security purposes and how to save a good deal of money on utility bills. All in all, our specialists are skilled enough to take care of window installation, maintenance, and replacement. What is more, NVR and Son Contractors is well experienced in building concrete driveways, sealcoating, parking lot striping, and snow removal. Rely on us for any of these services and be sure to make your life easier! Our statewide network of material suppliers allows us to complete any project without pricing our services unreasonably high. We want you to stop overpaying so that no hidden fees are to be expected along the way. Plus, you can save even more with our everyday discounts. Hire the team of qualified Wilmington roofing contractors serving the whole state of Delaware! NVR and Son Contractors is a family-owned, Wilmington, DE-based company that provides roofing, windows and siding installation and repair for residential and commercial clients of all sizes across Delaware, serving North Wilmington, Middletown, Claymont, Newark, and all of Kent, Newcastle and Sussex Counties. Lowes lumber yards and Foulk Manor senior housing communities) as well as city and state government buildings. We value our reputation for timeliness, responsiveness, affordability and most of all, integrity. Unlike other companies, NVR never subcontracts. We complete projects of all sizes with carefully screened crews of local workers, all vetted by Nino and his team for the quality of their work. To find out more about our services, call us at (302) 999-9631 for a free appraisal. We appreciate your business and always respond promptly. “Big Nino” graduated from DelCastle Technical High School after having studied to get his diploma for welding/fabricating. After school Nino worked for a local roofing company, but quickly decided that he wanted to start his own business, which he did. NVR Roofing was incorporated in 1992 and Nino was his own roofing contractor. “Looking back, I didn’t think too much about it being a lifetime career for me.” Nino said he would have “little Nino” help him when he could “ever since he was a tiny kid, because he’d be messing with my tools,” so Nino figured he would teach him what was what (so he wouldn’t mess anything up, lol). In his spare time, Nino enjoys spending time with his family: his beautiful wife Kathleen (a/k/a “Kat”), lil Nino and his daughter, Lexie. Both big and lil Nino are avid hunters and fishermen. Nino is also known to be quite the cook. “Lil Nino” has been by his dad’s side helping him with work projects ever since he was young. Only a teenager, he was just accepted into Delcastle Technical High School where he will pursue training in Welding/Fabrication Technology. In his spare time, Nino is an avid skooter enthusiast, for which he not only has a great passion, but also amazing talent. Nino is currently sponsored by Shop ECX! Kat will be “second in command” when Nino is out on a job. She will be handling any scheduling, fielding questions and handling NVR’s accounting. Kat has been part of the NVR family for almost 3 years now and we couldn’t be happier to have her on board. When she isn’t working her 12-hour shifts at the hospital (yes, she just may be a saint), she enjoys spending time with Nino, lil Nino, her friends, dancing and going to the beach (yes, she CAN bait and reel in her own catch). With more than three decades as a professional roofing contractor, Nino Roca has handled thousands of projects, including those for luxury residential developments, as well as commercial and government roofing replacement projects across Delaware. Even before we start a roofing or re-roofing project, NVR and Son Contractors roof repair company carefully inspects and assesses the condition of your roof, replacing all rotten joists or plywood, or other disintegrating materials, and protecting the surface before beginning the job. Thorough and conscientious, before completing the process of roof replacement, NVR always aligns roofing materials with the edges of your roof, cuts roofing materials to fit around walls or vents, and covers exposed nail or screw heads with roofing cement or caulk to prevent leakage. Nino and crews of up to 30 workers have handled roofing projects for commercial clients like Lowe’s Lumberyards and Foulk Manor North senior living community. State and local government roofing projects have included The Artisan Water Company and Delaware Solid Waste Authority building. Through the years, NVR has become their Wilmington roofing company of choice for both commercial and residential clients. For many years he’s been the go-to roofing company for high-end residential developments in urban and suburban Wilmington as well as for new developments in Greenville, Centerville, Newark, Hope Essence and other communities across the state, including many of the new homes in Middletown. Nino is skilled and experienced at working with both all traditional roofing materials (including slate, tile, cedar and many types of shingles), asphalt and metal, as well as all the durable new materials introduced over the last few years, including rubber, fiberglass and more. GAF—For over a century General Aniline & Film (GAF) has been North America’s largest roofing manufacturer, known for a variety of long-lasting quality products, including Timberline shingles, wood shake-look shingles, impact-resistant cool/reflective shingles and other forms of specialty shingles. Their other products include Ultra-Premium – Glenwood® Lifetime Designer Shingles, designed to recreate the natural look of real wood shakes. Beautiful options help contain your roofing costs. Atlas. We provide full-warranty service and roofing solutions with products made by Atlas, one of America’s fastest growing manufacturers of roofing products, including roofing underlayments, sustainable energy-efficient polysio roofing materials, and the only shingle with lifetime protection against algae streaks and algae stains. EPDM is NVR’s choice for large commercial projects. Available in black or white options and in a wide variety of widths, it’s an extremely durable synthetic rubber roofing membrane (ethylene propylene diene terpolymer) widely used in low-slope buildings worldwide. Nino and his crew can install this incredibly durable and weather resistant roofing product in a number of ways (from ballasted to mechanically attached), based on your preference. EPDM’s sophisticated roofing systems can be sealed with liquid adhesives or specially formulated tape. For roofing in Wilmington, the roofing specialists at NVR have become the contractors of choice for roof leak repair and other roofing services, providing quality services while containing roofing costs. For additional information about the quality roofing products we sell and install across Delaware, including Kent, Newcastle and Sussex Counties, call (302) 999-9631. Thank you for considering NVR and Son Contractors, LLC for your residential or commercial needs! Please take a few moments to fill in the information below regarding your request and we will respond promptly. Be sure to include the best phone number and/or email address at which you can be reached. If looking for a roofing contractor or roofing company, please consider using us! Save $1,000.00 on any roofing or siding job of $10,000.00 or more. Save $50.00 on any repair job of $350 or more.